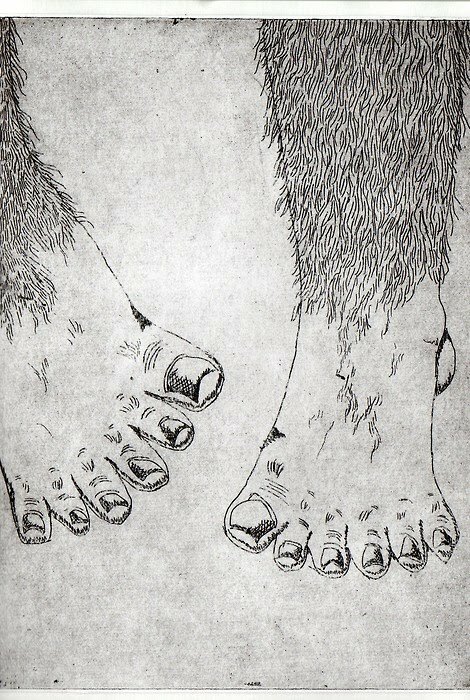 This is the finished etching for 'Eskimos have six toes'. The reasoning behind these drawings was originally for a project i did investigating opposites. I started to think about truth and lies being complete opposites, and asked people lies that they were told when younger, and this was one of them!